Thanks for liking Steve Jobs. Like TIME on Facebook for more trusted news analysis, award-winning multimedia & behind-the-scenes looks with TIME editors. Even after his death in early October, Steve Jobs continues to have a profound impact on our culture and the business world. His posthumous influence has been fueled by the no-holds-barred biography Steve Jobs by Walter Isaacson, which reveals new insights about the man and his work, and hit shelves just weeks after his passing. Much like his own products, Jobs was compelling and enigmatic from afar, yet the book offers an unprecedented look at both the beauty and shortcomings hidden under the polished exterior. Even now, Jobs' influence is felt in the tech world after revelations surfaced that he believed he'd "finally cracked" television  we're all holding our breath for an Apple TV set. It's clear that the technology revolution he launched will continue to grow and evolve, affecting generations to come. And while his death amplified his recent accomplishments, the best argument for his nomination as Person of the Year 2011 isn't the new products that Apple has released in the past 11 months. It's the national moment of reflection that followed his passing. We were eager to find lessons in Jobs' life about everything from our identity as a nation of innovators to the complex alchemy of success and creativity and our ever deepening relationship with technology. 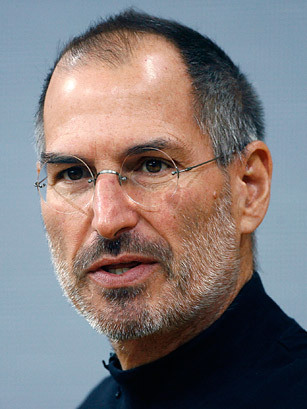 So while there are many who were disappointed that Jobs was passed over as Person of the Year 1984, when the Apple Macintosh computer was introduced, a nod this year might be a more fitting opportunity to recognize the entirety of his effect on the modern world in ways that we are just now coming to understand.